This counter top spinner is ideal for use in school libraries or reception areas. 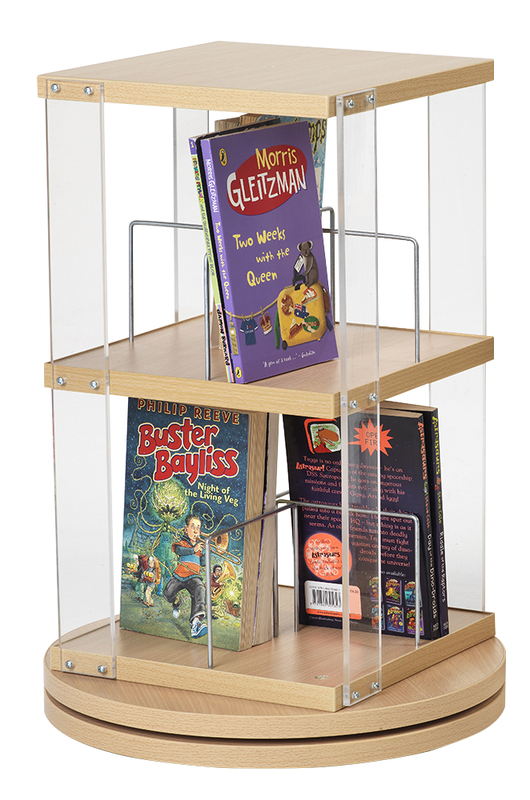 This book storage product (pictured right) has 2 tiers and is suitable for holding paperback books and DVDs. It is 580mm high with a diameter base of 390mm and comes in a choice of 12 colours. Unit is delivered fully assembled. See our full range of book spinners. For more information please Contact Us or call us on 01733 511121.